After an action-packed trip to Orlando, what’s better than a few days on the beach? From wide, white sandy strands to toddler-friendly, vehicle-free shores, these fabulous beach escapes are within three hours of Disney World. These are the best beaches near Disney World. 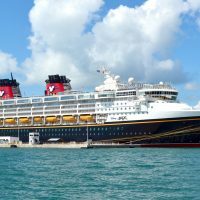 If you're a fan of Disney Vacation Club, you probably already know about this low-key destination, home to Disney's Vero Beach Resort. It's located an easy two-hour drive from Disney World, yet feels worlds away from the theme park frenzy. 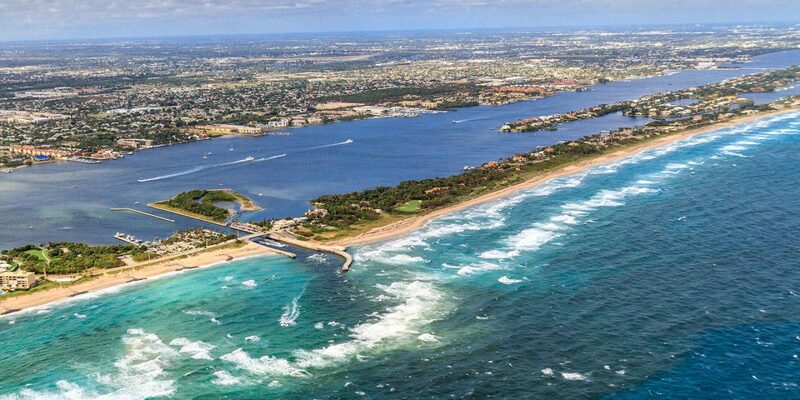 The former training ground for the Los Angeles Dodgers and a center for the state's citrus industry, the sleepy seaside Atlantic Treasure Coast promises balmy breezes along miles of ocean beaches. Set your chair in the sand for the day at Humiston Park, a lovely oceanfront spot with lifeguards, a playground, clean public restrooms and ample parking. On Saturdays, you can meet local growers and sample a variety of fresh treats at Farmer's Market Oceanside across the street, then head back to the park by sunset to catch a free seaside concert. Other highlights include the Environmental Learning Center, where you and the kids can take a manatee sighting cruise, paddle your way along the Indian River Lagoon on a guided kayak excursion or interact with a variety of sea creatures, from spider crabs to sea urchins in a hands-on Touch Tank Encounter. If you want to try your luck at surfing, Wabasso Beach Shop, located on U.S. 1 in Sebastian, is a good place to start. For a kid-pleasing combination of wicked waves and calm waters, take the Vero Beach entrance to Sebastian Inlet State Park. Boasting 3 miles of sandy beach, which runs from Vero Beach in the south to Melbourne Beach in the north, the superior surfing spot is popular with teens, and also offers a shallow swimming cove (located at the northern end of the island) suitable for smaller children. 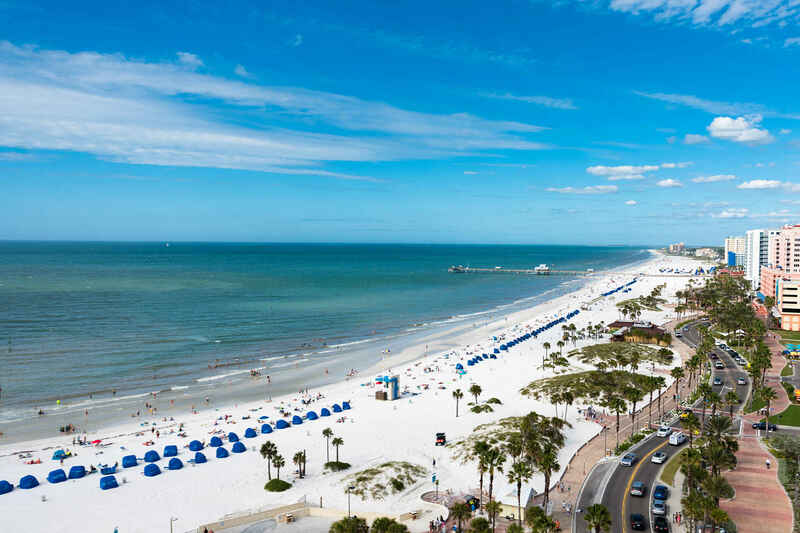 Home to Winter the Dolphin, made famous in Disney's "Dolphin Tale," Clearwater Beach is known for spectacular sunsets and scores of white sandy beaches. If you"re looking for sand sports and a lively social scene, visit the mile-long paved promenade, or head to Clearwater Marina and set sail on a swashbuckling pirate-themed cruise with local legend, Captain Memo, and his crew. Afterward, walk the plank to Pier 60 Park, where you can cap the day with a visit to the Sunset Celebration. 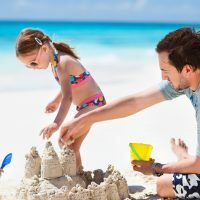 At the nightly beachfront festival, families can watch fire performers and musicians, shop for unique wares, get a caricature or a hair wrap and watch kid-friendly movies on the weekends. 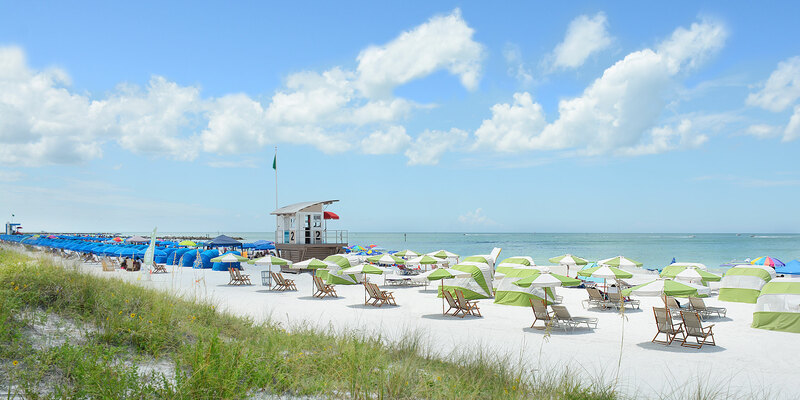 In nearby St. Pete Beach, Pass-a-Grille Beach is a favorite among the stroller set, thanks to ample metered parking and easy access via numerous beach boardwalks. If you have older kids, consider renting bikes at Merry Pier, where you can also board a shuttle to Shell Key Preserve, an undeveloped barrier island that is ideal for baking in the sun in solitude and collecting prime specimens. For a natural adventure with kids of all ages, head to North Beach at Fort De Soto State Park. Kids will have a ball exploring the pirate ship playground and playing in the shallow lagoon. A concession stand with frozen treats is located onsite. Want to catch a wave in the East Coast surfing capital? Head east to Cocoa Beach, a short 60-minute drive from Orlando. Check out the local scene at the Cocoa Beach Pier, then rent gear or take a lesson at Ron Jon Surf School or Cocoa Beach Surf Company Surf School. Generally offered for kids ages 7 or 8 and up, private, semi-private and group surfing lessons are available by the hour, half-day or during week-long summer camp sessions. Pack some sand toys and sunscreen and set off for centrally located Lori Wilson Park. The popular 33-acre beach park features beachfront parking, a playground, a dog park and lifeguards in season. Drive 15 miles north to Cape Canaveral, the world's second busiest cruise port, where you'll find Jetty Park, offering 5 acres of beachfront with year-round lifeguards and a fishing pier. Grab an outdoor table at Grills Seafood Deck nearby, where the kids can play while you watch the cruise ships set out. For a one-of-a-kind, glow-in-the-dark adventure off the beach, head to Merritt Island Wildlife Refuge, where, during the warm summer months, you can take the kids on a nighttime bioluminescent kayak tour. If you're looking for drive-thru restaurants and high-tech entertainment options, you'll be hard-pressed for options on Anna Maria Island. You won't encounter multiple high rises, heavy traffic or high-pressure sales tactics either. In fact, on this slice of paradise, where residents operate on "island time," the only amplified things are local friendliness and natural beauty. Connected to the mainland only since 1922, the 7-mile barrier island, situated 40 minutes south of Tampa, is comprised of three interconnected small cities: Anna Maria City, Holmes Beach and Bradenton Beach. 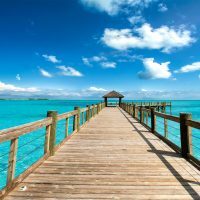 Among the six island beaches, family favorites include Coquina Beach in Bradenton Beach (a life-guarded beach with water sports rentals, concessions and a playground) and Manatee Beach in Holmes Beach, a lively wide stretch with lots of amenities situated in the center of the island. The free Manatee Trolley runs the length of the island and, for a tiny fee, connects to Longboat Key and downtown Sarasota. Day trip options include kayaking excursions on the Little Manatee River, Gulf of Mexico eco-tours with Captain Kim's Charters and Captain Kathe's Boat Tours. The latter captain is based in Cortez, a historic fishing village located just over the Bradenton Beach Bridge. If you go, be sure to stop in at the Star Fish Company, a casual waterfront favorite, featuring freshly caught specialties that you can enjoy at outdoor picnic tables. Kids and dogs are welcome. Don"t let the image of overzealous college crowds deter you from making a detour to Daytona Beach. While certain times of the year in Daytona Beach proper -- like Bike Week in February and spring break and the Daytona 500 in March and April -- are best left to the racing and ruckus-raising masses, any time of the year is suitable for a family excursion to one of the area's quieter towns. The towns are situated along a 23-mile seaside stretch that runs from Ponce Inlet in the South to Ormond-by-the-Sea in the North. For family day-trippers, one peaceful spot to park it for an afternoon is Lighthouse Point Park in Ponce Inlet. Parents will appreciate the vehicle-free scene, along with convenient amenities, including a playground, picnic areas and water sports outfitters, where you can board a banana boat, rent paddle boards and personalized water crafts, or book a parasailing excursion. Be sure to heed area warning signs, especially if you're going in deep water. Nearby, the Marine Science Center and Ponce de Leon Lighthouse Museum are nice diversions when the kids get antsy.